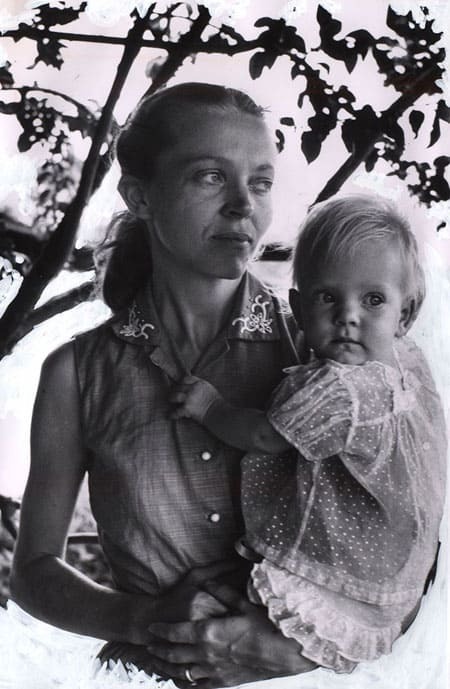 One of my earliest mentors in Christian womanhood and motherhood was Elisabeth Elliot. 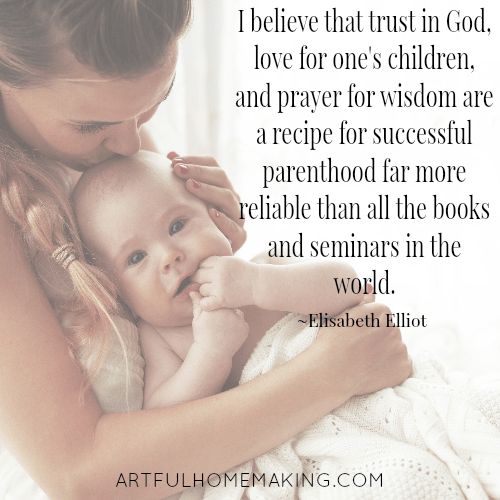 Here’s what Elisabeth Elliot taught me about motherhood. One of the first books I ever read by Elisabeth Elliot was The Shaping of a Christian Family. In this book, she shares memories from her own growing up years. She was one of six children, and her parents were devout Christians. 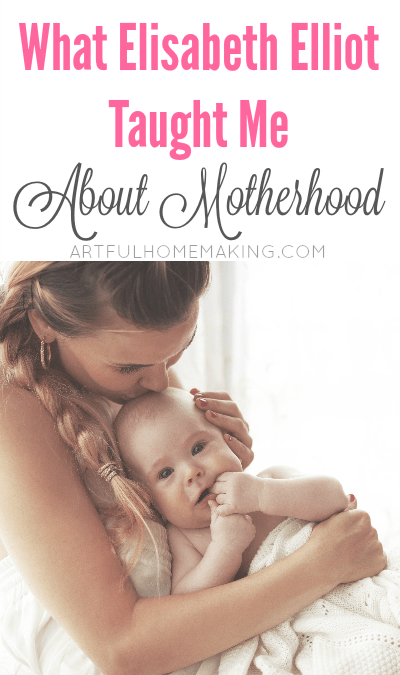 I recently revisited this favorite book, and I thought I would share with you some of the mothering insights I gleaned from reading through it this time around. 1. A mother is a life-bearer. 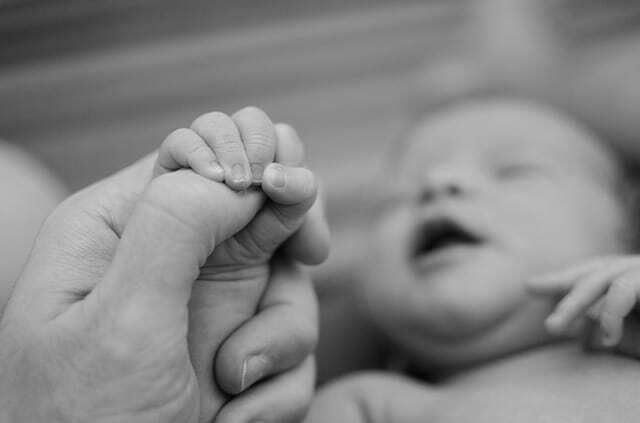 It’s such a beautiful blessing and privilege it is to bring new life into the world! 2. Children are a blessing. Of course we know this if we’re familiar with the Bible (Psalm 127), but we can never be reminded too much of the truths from God’s Word. “Children, the Bible says, are a gift, a blessing, a heritage from the Lord, ‘the fruit of the womb a reward. Like arrows in the hand of a warrior are the sons of one’s youth. Happy is the man who has his quiver full of them!’ (Psalm 127:3-5) Mother and Daddy believed that and believed He would give them just what He wanted them to have, which is always the best. 3. Motherhood is the noblest career. Motherhood truly is the greatest career. However, sometimes in the midst of our mundane, ordinary days, it’s easy to forget how important our calling really is. 4. The process of shaping the child shapes the mother. I have found this to be true in my own seventeen years of motherhood. Whenever I am discouraged and tempted to give up and give in to sin, the knowledge that my children are watching me and that I am an example to them reigns me in and brings me back to where I need to be. Motherhood is definitely a sanctifying process and I still fall short of where I want to be. I need grace every day! 5. Use a gentle, loving voice when speaking to your children. 6. Hug your children. Often. I love hugging. So it comes naturally to me to want to hug my children often. Elisabeth said her parents had a more difficult time showing physical affection because of their more formal upbringing, but, with the help of God they were able to show sufficient physical affection that all of their children knew and felt how much they were loved. I also think it’s important to continue the hugs and back rubs (or however your family is comfortable showing love) on into the teen years. My teens love getting a hug from Mom! I can tell it makes them feel loved. 8. Love is the most important thing. Oh, this is so true. I know I respond much better when someone speaks to me or treats me with love rather than harshness or selfishness. Whenever I come to my children with words of encouragement and praise, their faces light up and they delight to be with me. Love definitely attracts! Rereading The Shaping of a Christian Family has been like a breath of fresh air for me. I think in our modern age that we’re in danger of becoming lukewarm and confused about what the Bible really teaches on so many topics. Going back to one of the books I learned from in my early years of marriage (from one of my favorite Titus 2 teachers) encouraged me greatly. I’m thinking about sharing it with my oldest daughter next. This post contains my affiliate link. Linking up with these blogs. I love this! Speaking for myself, I perceived God in a very incorrect way because of the way that I was raised. I did not receive that joyful, tender, merciful, physical kind of love at home so I had a very hard time accepting that God was that way. Parents do not realize that they are stunting their child’s spiritual growth when they do not raise them with a Godly love, focus and mindset. Thank you for sharing your heart! Thank you so much for sharing some of your story, Summer! Many blessings to you. Beautiful post – and reminder! Yes – motherhood shapes us as much as it shapes our children. My faith has grown so much as a mother. Maybe motherhood is the miracle grow to our hearts! I wish she was still alive. Would have loved to met her. One day in glory though! I agree! I’m thankful she left behind some encouraging books! Yes i’ve been reading her books, they are very good! So glad you’re enjoying them too! Thank you, Liz! I’m so glad you stopped by and took the time to introduce yourself! 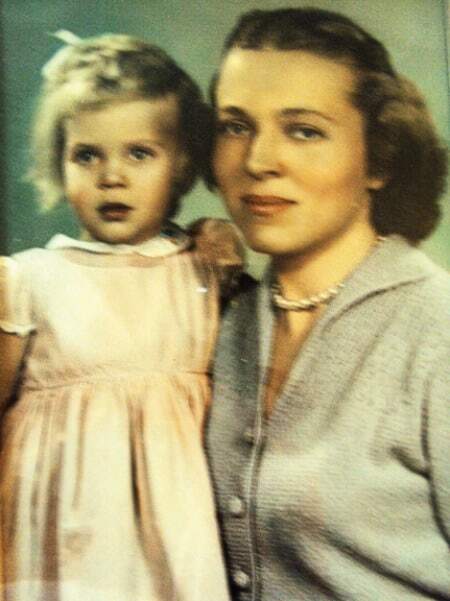 What a blessing that you were able to know Elisabeth in real life and benefit from her wisdom. And how wonderful to also know her friend! Thanks so much for sharing the article you wrote. It was very encouraging. Blessings to you! Hi, your post received the most clicks this week on the Literacy Musing Mondays linkup. I am featuring your post in the Literacy Musing Mondays linkup which will go live at Sunday at 6 p.m. Congrats and thanks for linking up with us. I have Keeping a Quiet Heart but haven’t read it yet, and I wasn’t even aware of this book! I’m not a mom, but this is so great to read. I will have to keep this book in mind for later. What a great list, Joy! I’m sharing it on Pinterest! Found you on Modest Mom. I love Elisabeth Elliot. Thank-you for sharing some of her wisdom. Blessings! Her writings are such a blessing. Thank you so much for stopping by, Brooke! What a beautiful and encouraging post. I have been struggling with feeling very inadequate lately and I needed to hear this! I am reading her book Keep a Quiet Heart. Will definitely have to find The Shaping of a Christian Family. I’m so glad it was encouraging! Elisabeth Elliot’s writings always have a way of encouraging me. Keep a Quiet Heart is such a great book, too. This post is food for the soul and the mind … wonderful words for every mother who is pleased of her life . Beautiful insights on motherhood! I haven’t read this book and I am so glad you shared your thoughts and the quotes. I agree, “the process of shaping the child shapes the mother”. And the importance of prayer! I will share your post on my Facebook page. Blessings! Thank you, Carol! Yes, that insight about the mother being shaped in the process of shaping her child really spoke to me. I’m so glad you stopped by! Elisabeth Elliot is my favorite. I have learned so much from her over the years. I used to receive her monthly newsletter and even though only four pages, it was filled with encouragement and exhortation to live fully for HIM. I have several of her books, but two of my favorites are Keep a Quiet Heart, and Discipline: The Glad Surrender. No, I haven’t read this book but I am looking for it right this moment. It sounds like a great book for encouragement to me. Thank you for sharing. I have read many of Elizabeth Elliot’s books and have loved them all. It is such a great book. Hope you’re able to find a copy! I feel the same way about Elisabeth’s books—every one that I’ve read has been so helpful and encouraging. Nice to meet you, Elizabeth! How neat that your middle name is Joy, too! 🙂 Yes, that part about a mother being a chalice really inspired me. I’m so glad you stopped by today! I haven’t read this book yet, but it’s on my Pinterest board of books I want to read. I love #4! I definitely feel like I have been changed through the mothering process – and I’m sure there’s still lots more God will do in me as we navigate these teenage years! Oh yes, mothering through the teenage years has definitely changed me too! Sometimes I feel like it’s an even more challenging time than when they were little. So many big life changes taking place. But such an exciting time! Thank you so much for sharing this at Sitting Among Friends. I loved this post and really needed to hear this tonight. I have not read this book but what refreshment to this momma’s heart. I hope you have a great week! Sharing on my social media.